2006. Latest from the ambient master Steve Roach. For an uninterrupted 45 minutes, Steve Roach captivated the NEARfest audience in 2005 with a hyper-charged set designed to create an exhilarating ride through the many worlds found in his sonic landscapes. Fire-breathing primal-voiced synths, pulsing rhythms and haunting didgeridoo passionately intertwine as STORM SURGE progresses to an emotional climax. This is a well-timed release, as those who are experiencing the KAIROS DVD can hear first first-hand one of the many concerts that helped shaped the outcome of the DVD. This abbreviated set was supported by visuals that were part of the developing KAIROS project. 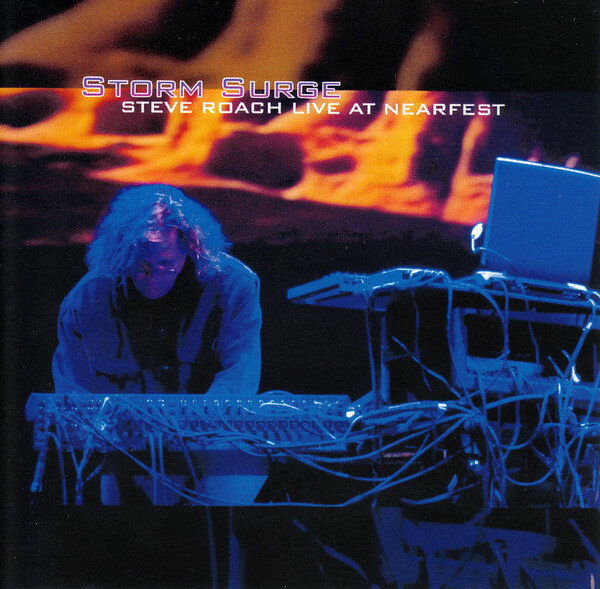 STORM SURGE: LIVE AT NEARFEST is presented just as it occurred, with no edits or post studio fixes; the sound of the hall and the audience is all a part of the impact of this powerful live document.